This was an easy snapshot. The hardest part of this picture was the composure, trying to find a street and angle that showed the fronts of the houses as well as the mood on the street. 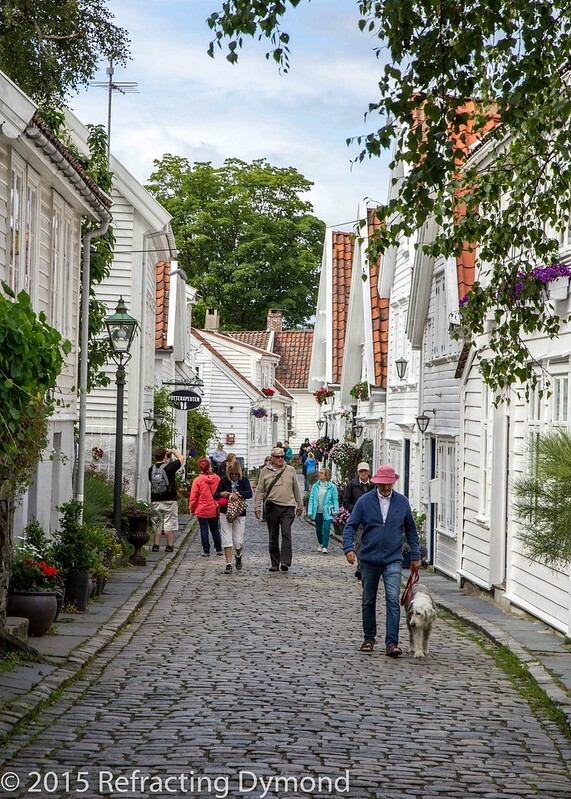 From the old man walking the dog to the tourist taking the picture, I think this captures the spirit of Stavanger well.